COLORADO SPRINGS, Colo. (Feb. 2, 2018) – Twenty-two of the USA’s top, professional women’s basketball players are expected to participate in the USA Basketball Women’s National Team training camp, scheduled for Feb. 9-11, 2018, at the University of South Carolina. Included on the list are 16 members of the 2017-20 USA National Team and an additional six athletes who were invited to participate by the USA Basketball Women’s National Team Player Selection Committee in hopes of being named to the USA National Team pool. The USA will train at 10 a.m. (EST) on Feb. 9-10 and 9 a.m. (EST) on Feb. 11 at the Carolina Coliseum. 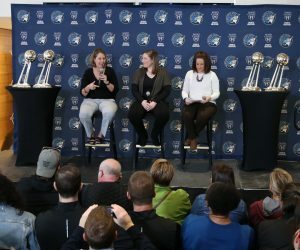 The minicamp will feature 16 members of the 2018-20 USA Basketball Women’s National Team pool, including Sue Bird (Seattle Storm); Tina Charles (New York Liberty); Layshia Clarendon (Atlanta Dream); Elena Delle Donne (Washington Mystics); Skylar Diggins-Smith (Dallas Wings); Stefanie Dolson (Chicago Sky); Brittney Griner (Phoenix Mercury); Tiffany Hayes (Atlanta Dream); Jewell Loyd (Seattle Storm); Angel McCoughtry (Atlanta Dream); Maya Moore (Minnesota Lynx); Nneka Ogwumike (Los Angeles Sparks); Kelsey Plum (Las Vegas Aces); Diana Taurasi (Phoenix Mercury); Morgan Tuck (Connecticut Sun); and Courtney Williams (Connecticut Sun). Attending the camp as USA National Team hopefuls are: Allisha Gray (Dallas Wings); Chelsea Gray (Los Angeles Sparks); Tiffany Mitchell (Indiana Fever); Brittney Sykes (Atlanta Dream); Sydney Wiese (Los Angeles Sparks); and Elizabeth Williams (Atlanta Dream). 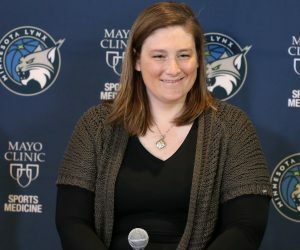 Members of the USA National Team pool who are unavailable to participate in the February camp are: Seimone Augustus (Minnesota Lynx); Napheesa Collier (University of Connecticut); Asia Durr (University of Louisville); Jantel Lavender (Los Angeles Sparks); Kayla McBride (Las Vegas Aces); Kelsey Mitchell (Ohio State University); Chiney Ogwumike (Connecticut Sun); Katie Lou Samuelson (University of Connecticut); Odyssey Sims (Los Angeles Sparks); and A’ja Wilson (University of South Carolina). 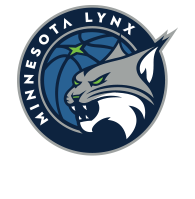 Sylvia Fowles (Minnesota Lynx) and Breanna Stewart (Seattle Storm) currently are competing in China, and their inclusion on the training camp roster will depend on their respective teams’ run in the WCBA playoffs. 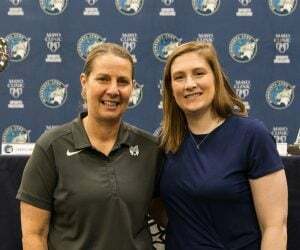 Lindsay Whalen (Minnesota Lynx), a member of the past two U.S. Olympic (2012, 2016) and USA World Cup (2010, 2014) gold-medal winning teams, was named to the 2017-20 USA National Team last fall. 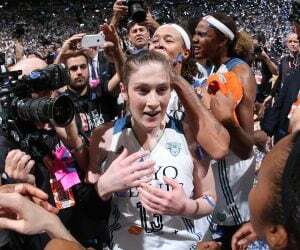 However, she has since retired from USA Basketball. Whalen donned her first USA Basketball uniform in 2002 and has claimed a total of six gold medals while helping USA Basketball teams compile a 66-3 overall record, including exhibition play.